SKU: V10. Category: Videos. Tag: Answers in Genesis. Is abortion biblically permissible? Aren’t stem cells good? What exactly is cloning? Find answers in this 2-part DVD from the compelling DVD series, The Sanctity of Life. Co-produced by Answers in Genesis and the American Family Association, featuring scientist Dr. Tommy Mitchell. Part 1: When Does Life Begin? When can a human embryo be considered a human being? Is it really just a blob of cells? Is humanness merely an anatomical achievement? And are we morally bound to protect the unborn? If so, when? When does a developing baby become worthy of protection? Abortion is legal, but is biblically permissible? Where do we turn for these answers? Dr. Tommy Mitchell presents many different viewpoints and compares those conclusions with the Word of God. This portion deals with some of the most controversial issues in today’s world. 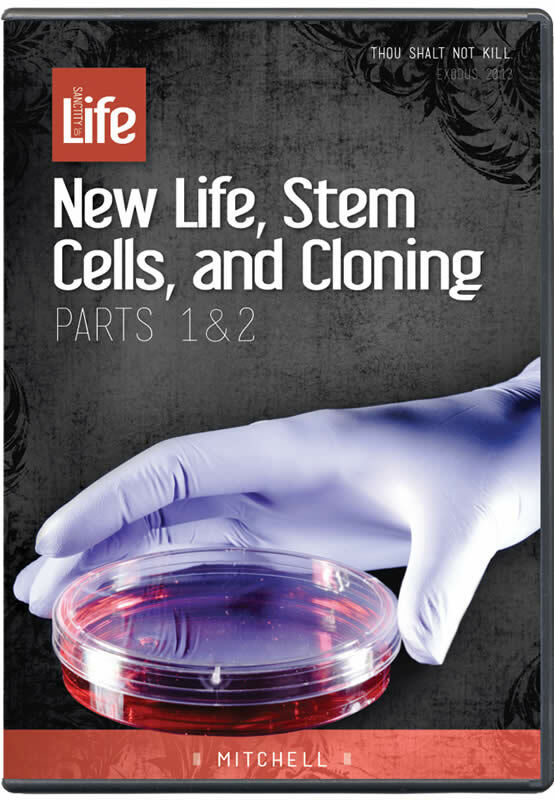 The stem cell debate rages in our society. Aren’t stem cells good? Don’t Christians want to help sick people? What is the problem with embryonic stem cells? What exactly is cloning? How are these moral questions? A Christian’s response to these questions should be based not only on a clear understanding of the science but also a firm grasp on scriptural principles. Here you find sound biblical answers.